EPISODE 7 ニューヨークの屋上映画 ( ROOFTOPS OF NEW YORK : ROOFTOP MOVIES ) – New York Breeze ! You make your way to the venue. You check in on your mobile device, or hand a paper ticket to the usher. The usher scans it or tears it, depending on the place. You find your seat and get ready for the house lights to go down. As you settle into your seat, a cooling breeze caresses you. Maybe you hear the sounds of a helicopter or a car horn but they are not coming from a speaker. It’s dark out. If you turn to look left or right you are greeted by an awesome glimmering view of the Manhattan skyline at night. 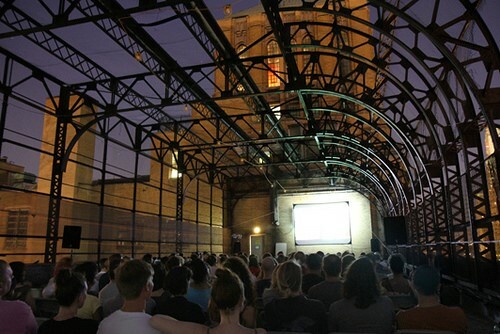 You’re about to watch a movie and it’s on a rooftop. Welcome to the “New York Breeze,” a podcast where you can hear about life in New York City and pick up on some of the latest trends. 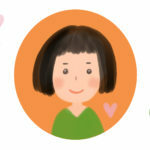 My cohost is Shoko, and she will be your guide in Japanese. 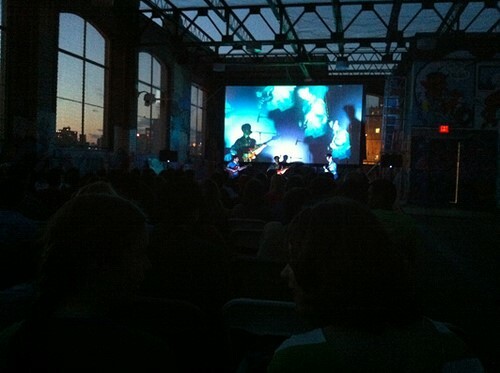 “Rooftop Films” is the name of a nonprofit organization. It started out as a gathering, and they pioneered this format. 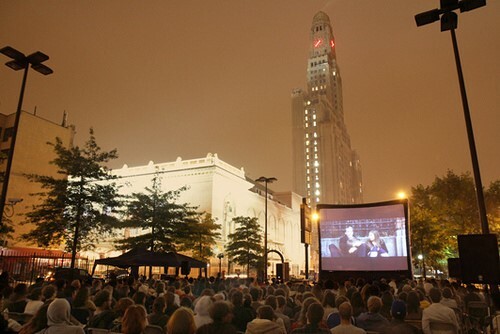 By now, Rooftop Films has been screening movies every summer for about two decades. The initial rooftop has multiplied. 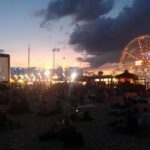 Now you can catch an eclectic mix of indies, docs and shorts at both rooftops and parks around Brooklyn, Queens and Manhattan. 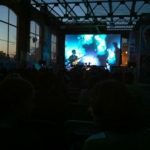 Hotels across America have picked up on the appeal of hosting films on rooftops and decks, in courtyards and poolside. 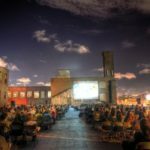 Here the Hotel Hugo on Greenwich Street hosts a Rooftop Cinema Series all summer long in the West Village. Every Monday at sunset they merge the casual after-work cocktail hour with screenings of old-school classics, new releases and even live sports. Their location has 360-degree views of the New York City skyline. PART 4. The old ‘dinner and a movie’ gets an upgrade. In downtown Manhattan, Tribeca Drive-In Presents merges dinner-and-a-movie in one spot. They offer a one-of-a-kind outdoor film and dining experience on the Oculus Plaza of the World Trade Center. Consumers will be invited to experience live music and trivia as well as a curated menu of food and beverage options. It’s got to be top-dollar. I can guarantee you that. But if it’s with someone whose company you truly enjoy, [then] it’s worth it! Ever since the old days of the silver screen, New York has always been a film lover’s paradise. 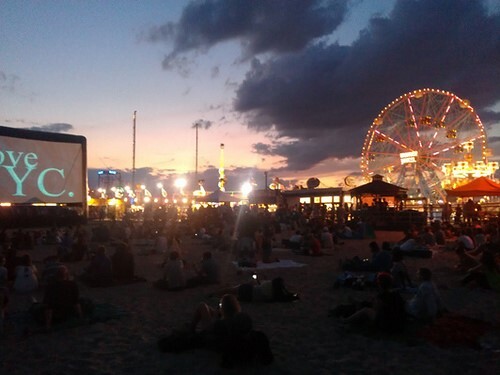 Both as a setting in movies and as a town with numerous independent movie theaters, when summer comes you can see the two merge. 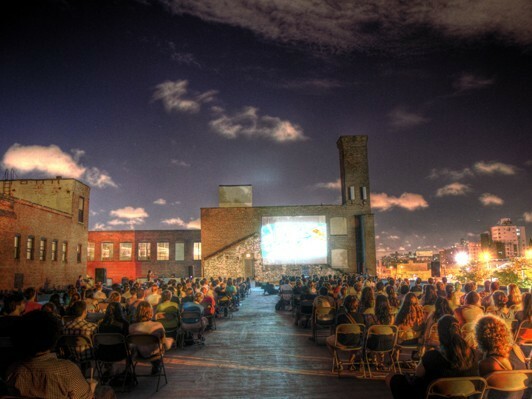 When it comes to rooftop films, the backdrop for your screen is just as —if not more— important. It’s my opinion that the current popularity of outdoor films, especially rooftop films, echoes the past when drive-in movies were popular in America. The drive-in’s peak popularity came in the late 1950s and early 1960s. Interestingly, upstate New York and Long Island are like the last bastions of the drive-in movie theater, where several still exist. Also, 2018 seems to be a pivotal year for cinema. There are a lot of anniversaries. 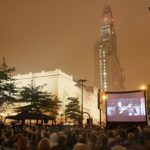 The Rooftop Cinema Series this summer at Hotel Hugo is screening Grease to celebrate its 40th anniversary, Scarface on its 35th anniversary, and The Big Lebowski for its 20th anniversary. Also, SkyLawn is showing the comedy Coming to America for its 30th anniversary. The type of audience at a rooftop movie experience in New York City is always going to be great. At some of the screenings you get a chance to see a movie in an audience full of film fans who all bring a special vibe to the screening. There are special appearances by the directors and filmmakers sometimes. All right folks, thank you for taking time out of your day to listen to our podcast. If you like what you hear, hit that ‘Like’ button and get subscribed. Until next time, stay engaged, keep informed, and know what’s up. Bye for now! “Curated” used to be mainly for museums and exhibitions. and bars design their spaces and menus to be appealing for food photography. People think more carefully about the appearance of everything. In this case, the menu. 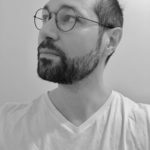 So now we have phrases like “curated social feed,” “curated Instagram feed,” “curated drink menu” to describe the level of expertise and thought devoted to something that used to be a lot simpler. 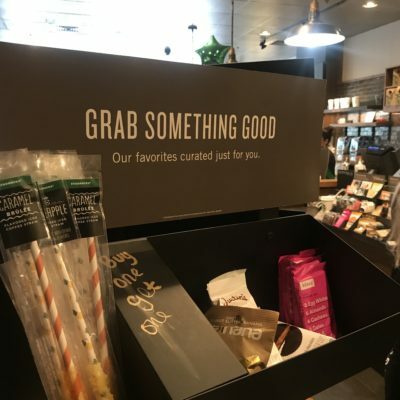 this sign: “GRAB SOMETHING GOOD. Our favorites curated just for you.”Americans (and maybe Brits and Aussies too) have been using the word ‘curated’ to mean ‘selected’ when talking about menus, experiences, and social media feeds.